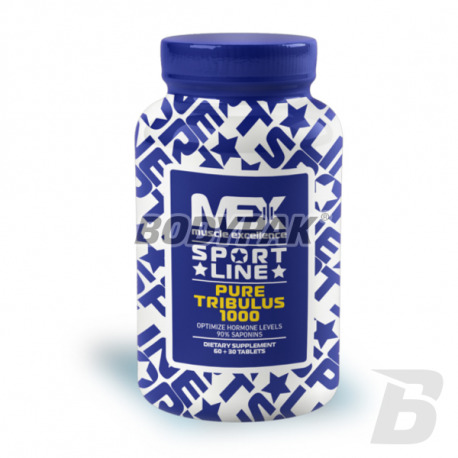 Testosterone BoostersMEX Pure Tribulus 1000 [Sport Line] - 90 tabl. 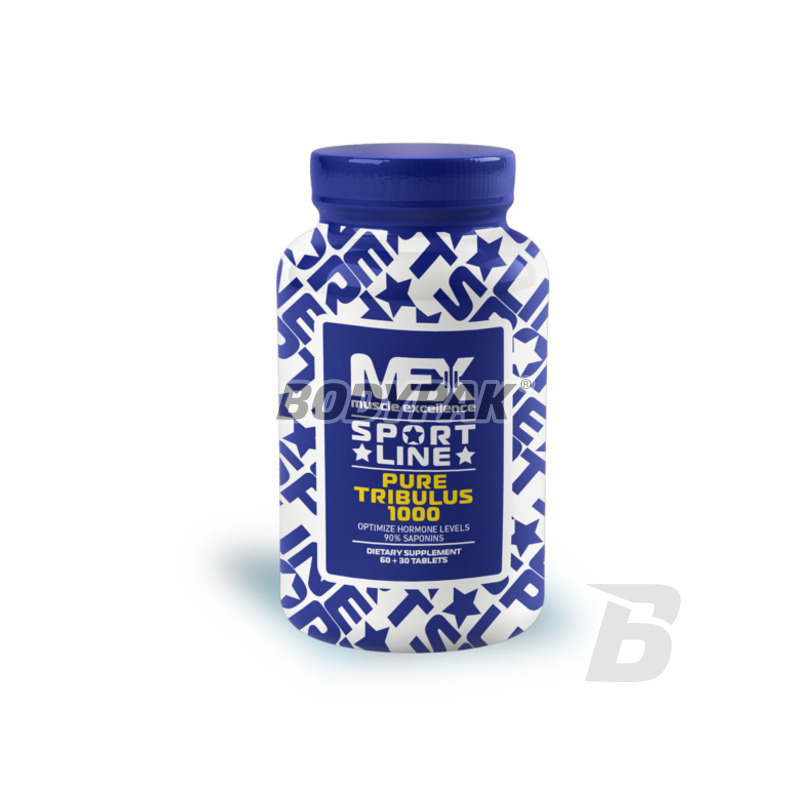 MEX Pure Tribulus 1000 is a product based on a concentrated extract with a standardized content of natural saponins (up 90%), mainly protodioscin by which to maintain an optimal level of testosterone in the male body is no problem. High levels of this hormone ensures the development of muscle tissue. Thus indirectly extract of Tribulus terrestris (tribulus terrestris) favors increasing the mass and physical strength. The product is completely safe, despite the significant impact on anabolism. You do not have to worry about side effects. Greatly accelerates the process of regeneration after training, resulting in permanent muscle hyperplasia. Testosterone is often associated only with adolescence and sexual characteristics of formation - it is too far-reaching generalization! As you can see, the benefits of supplementation are enormous. MEX PURE Tribulus 1000 PROVEN AND EFFECTIVE IN ACTION! * IN CONNECTION WITH CHANGES graphic POSSIBLE SHIPPING PRODUCT WITH NEW OR OLD LABEL. 1-2 tablets a day with meals. Składniki: Buzdyganek ziemny - ziele (Tribulus Terrestris L.), maltodekstryny, difosforany - stabilizator, karboksymetylo-celuloza (substancja wypełniająca), sole kwasów tłuszczowych - substancja przeciwzbrylająca.